Very Positive for seller vette442! Thanks from both of us, Terry, for a pleasant, easy, fun transaction! All the extras you included for the Supreme were a great bonus! You're very welcome. Still need to send you many more pics when I'm done with my psychotic work stretch in two weeks. I also found a few receipts for parts and work done about three years ago. I'll scan and send those too. I've filled the garage space already as planned, since I also sold my '96 LT4 Corvette a week before the Supreme (had the '96 'Vette since 2000). This '72 4 speed is my sixth 69-74 Stingray since 1998. My best friend owned this one for over 20 years - couldn't let it out of the "family". Beautiful Corvette convertible. Always liked that body style ever since seeing one as a kid, especially the convertible version. Positive feedback for deaddds as a seller. 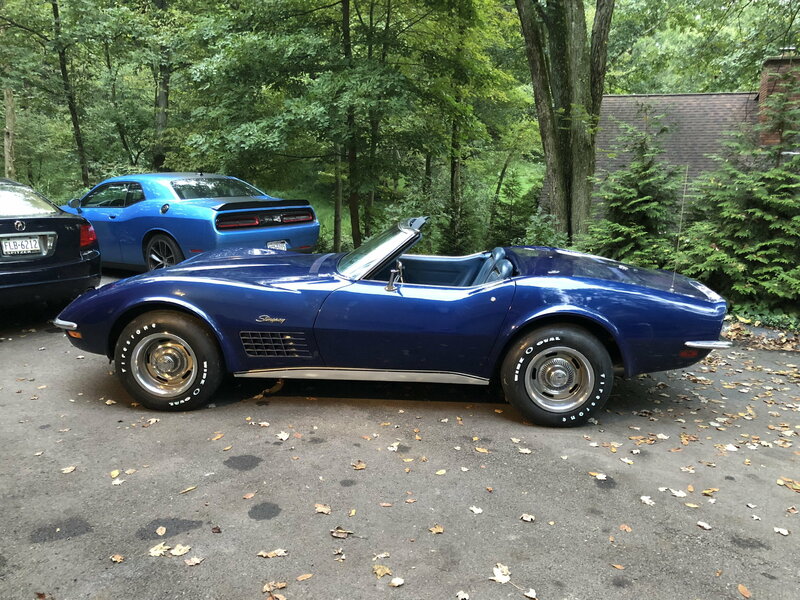 Quick Reply: Very Positive for seller vette442!